Following a rigorous evaluation and selection process conducted by Vingroup, PEB Steel has become the largest supplier of steel structures of the complex. 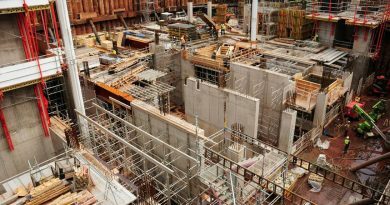 The company is also the sole foreign contractor to construct the pre-engineered buildings for VinFast’s massive production complex. Leveraging its 24 years of experience gained through 7,000 large-scale projects in the locality and foreign markets, PEB Steel has met several complex requirements and criteria, including technical qualifications, competency, progress, and quality. After ticking out all criteria, PEB Steel has embarked on the project in a professional, efficient, and responsible manner. Kteily further noted that PEB Steel’s factories have operated at 150 per cent capacity and run up two shifts in five continuous months to stay on track. Even during the Tet holiday or the monsoon season, the company was racing to complete the construction in time. Truong Khoi Nguyen, general manager of PEB Steel Hanoi. 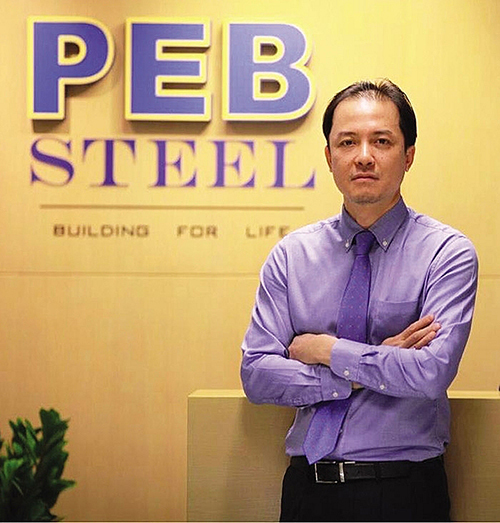 According to Truong Khoi Nguyen, general manager of PEB Steel Hanoi, PEB Steel has been involved in consultancy for VinFast from design to execution. With 24 years of experience, the company has introduced a series of tailor-made solutions to optimise the usage of materials as well as alter the details to cater to the climate conditions in Cat Hai Island in the northern port city of Haiphong. To improve the quality of VinFast’s Escooter assembling workshop, PEB Steel also fabricates the steel frame with increasingly elevated strength resistance properties. As a result, the structural frame can increase strength resistance by 20 per cent compared to the original design without raising the production cost. PEB Steel is owned by European-based PEB Group, which has extensive experience in the field. 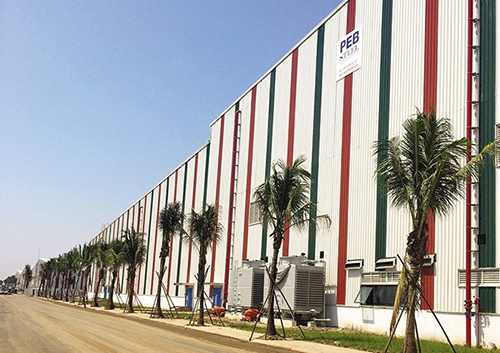 Furthermore, the PEB Steel team in Hanoi has professional management and leadership capabilities, along with creativity, so they have overcome many challenges to keep on track. “We are proud of our skilled and qualified young workforce in Hanoi who are exerting goliath efforts to meet the stringent requirements. 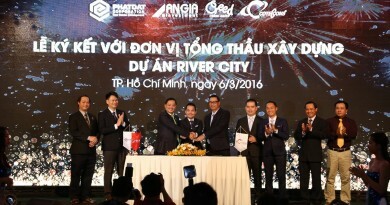 We are confident of participating in more prominent projects that require high quality and premium services,” Nguyen said. 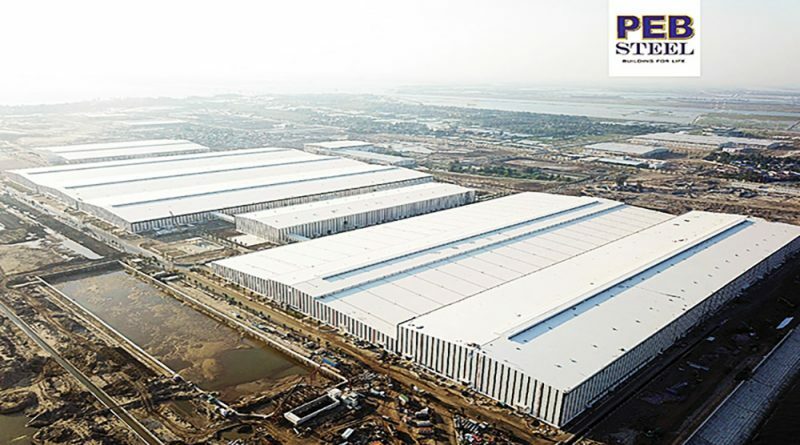 PEB Steel has become the largest supplier of steel structures for the VinFast automobile manufacturing complex after a rigorous selection process. 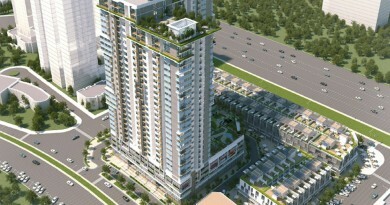 With its impressive 335-hectare VinFast plant is one of Vietnam’s largest industrial projects to date. The company will initially invest $3.5 billion in the manufacturing complex, which can produce 250,000 units a year. The complex is expected to roll out a five-seater sedan model, a seven-seater sports utility vehicle model, and an electric motorbike meeting European standards during the first stage. Moreover, PEB Steel has teamed up with the project manager, the investor, and the subcontractors to bring the work to the next level. Following the development of the VinFast project, PEB Steel is poised to handle a large volume of work meeting international standards with ultra-fast progress. Through its excellent track record, PEB Steel has greatly contributed to the seamless process and successful completion of the VinFast automobile manufacturing complex. As VinFast’s plans and ambitions go beyond simply setting up a car company, it is laying the foundations for Vietnam to become a car manufacturing nation. PEB Steel is honoured to join this landmark project that puts Vietnam on the global car map.